Let’s get right into what I ate and when I ate it, shall we? Breakfast was a hugh jass smoothie with 1/2 cup frozen strawberries, 1/2 cup frozen blueberries, 1 cup frozen spinach, 1 tbsp cacao powder, 1 tbsp hemp seeds, 1 tsp chia seeds, 2 medjool dates, a few drops of liquid stevia, and lotsa almond milk. I also sipped on coffee with soymilk at work. I have to tell you something. I haven’t been cooking. 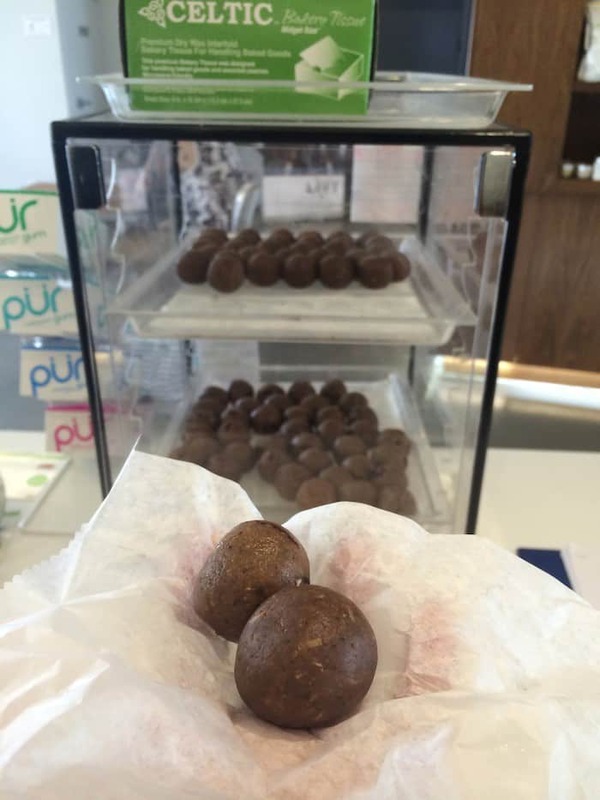 I’ve been drinking a smoothie every morning, having food at Alchemy for lunch, snacking on no-bake bites from the freezer, and eating eggs/an Amy’s burrito/restauarant food for dinner. I KNOW. I told a nutrition client today that I’m not practicing what I preach. I think it’s because I get so tired of food after I’m around it day in and day out at Alchemy. I still love eating it, I just don’t want to come home and cook it. The show must go on! 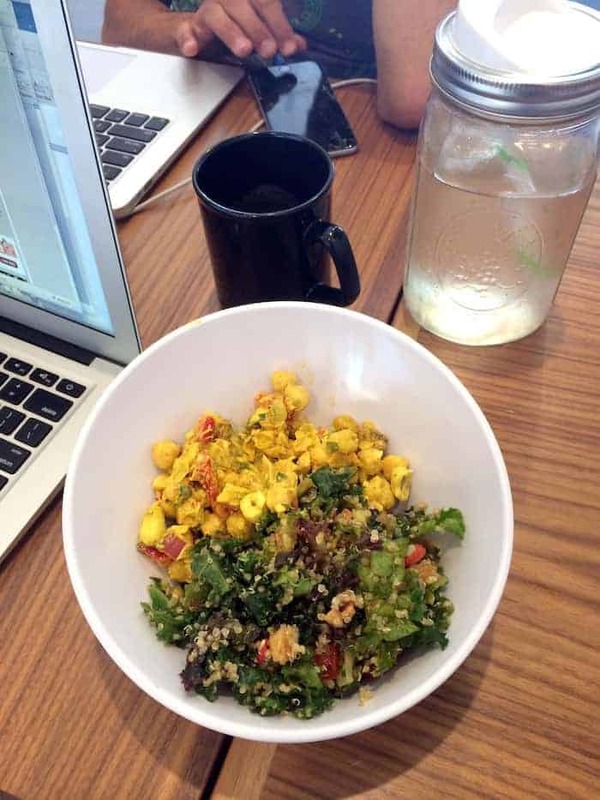 Lunch was a mix of curried chickpea salad and quinoa and kale salad. 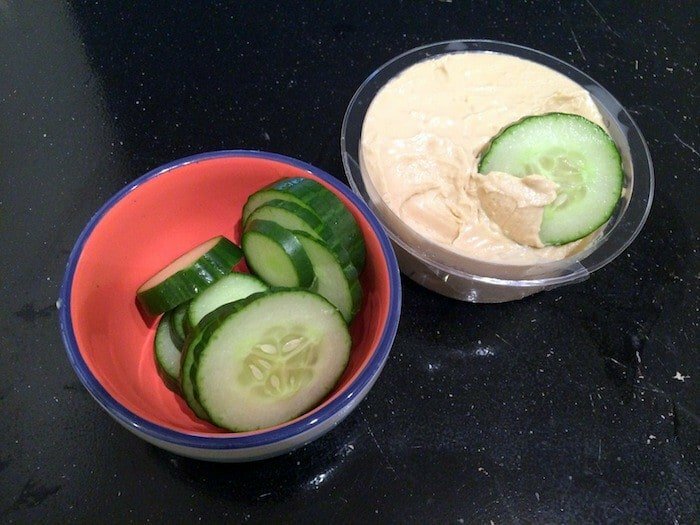 Luckily we serve half this blog at Alchemy so there’s always oodles of Hummusapien-approved eats around. 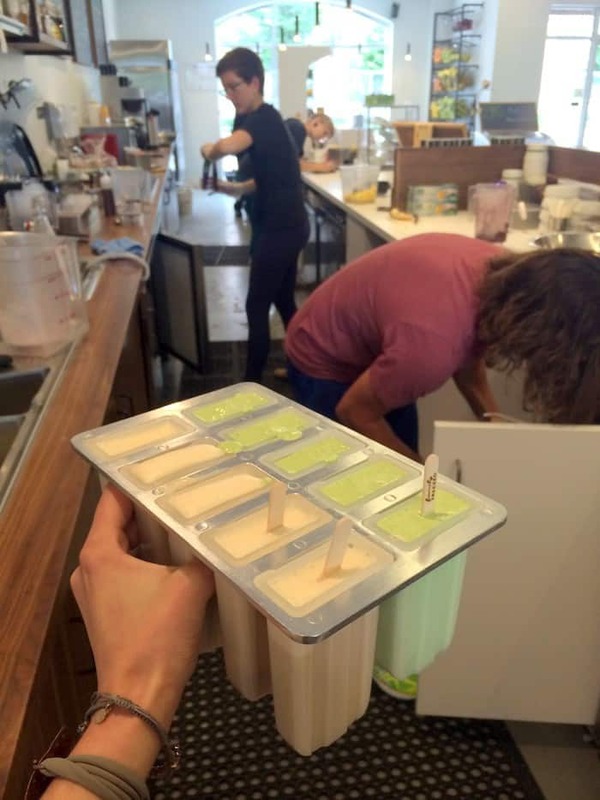 I’m working on recipes for Alchemy’s new paletas, so I had multiple licks/bites of the coconut coffee and banana-pineapple-kale ones. Who’s excited?! 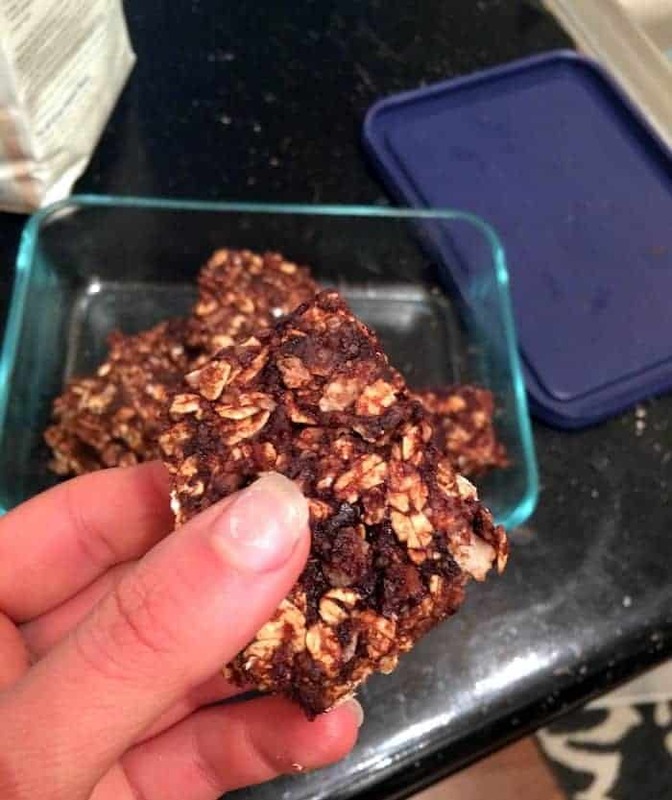 I also had a couple no-bake bites, which are spin-off’s of these no-bake cherry vanilla protein bars. 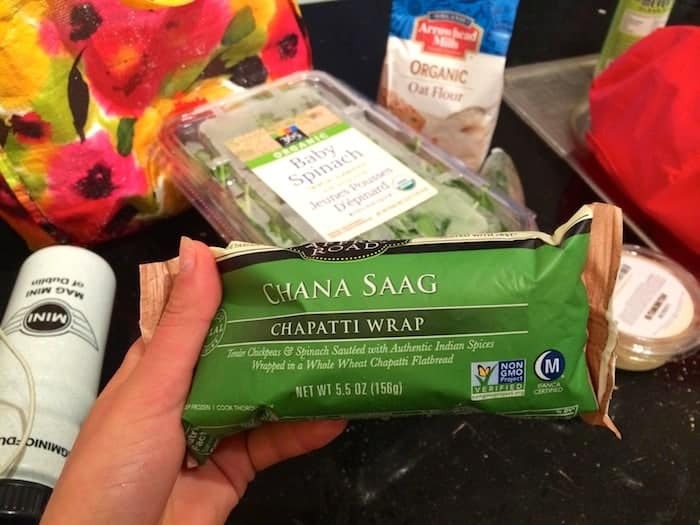 …and a Saffron Road channa sag chapatti wrap. It was basically an impluse buy because I’m a bit sick of Amy’s burritos at the moment. It was delish, but kind of itty bitty to be honest. 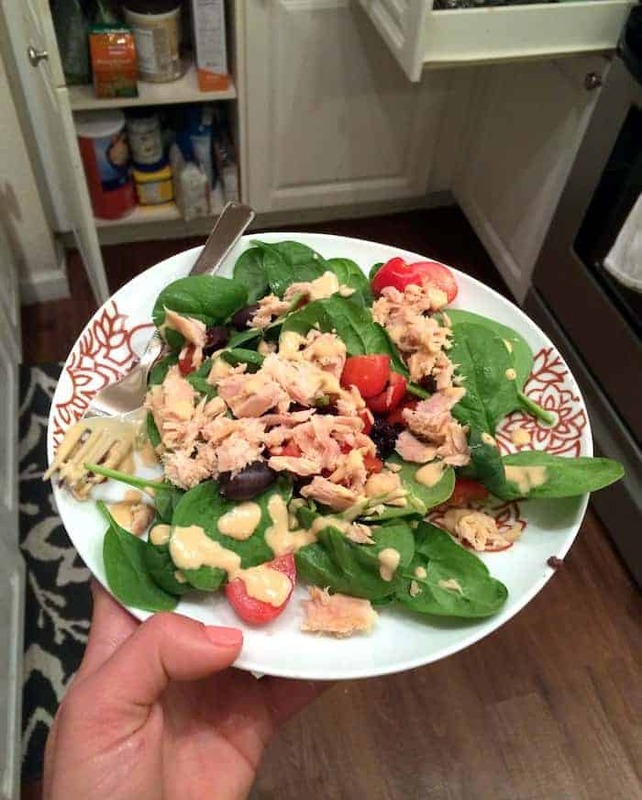 When I got home from getting my nails done I whipped up a spinach salad using organic spinach, tomatoes, kalamata olives, this cashew dressing, and wild-caught Genova tuna that I’m featuring in today’s Good Day Columbus news segment. Fantastico! Dessert was an almond joy snack bar (with almond milk) that you guys are going to be OBSESSED with. Teaser. Don’t worry, I got my nails done after I saw this repulsive picture of my finger nail. Pre-bedtime snackage included popcorn and a couple un-pictured carrot sticks with Krema spicy peanut butter. It’s the stuff of dreams. See you tomorrow for some more deliciousness for you face! That smoothie looked so good, I literally went into my kitchen and whipped up a smoothie for breakfast! 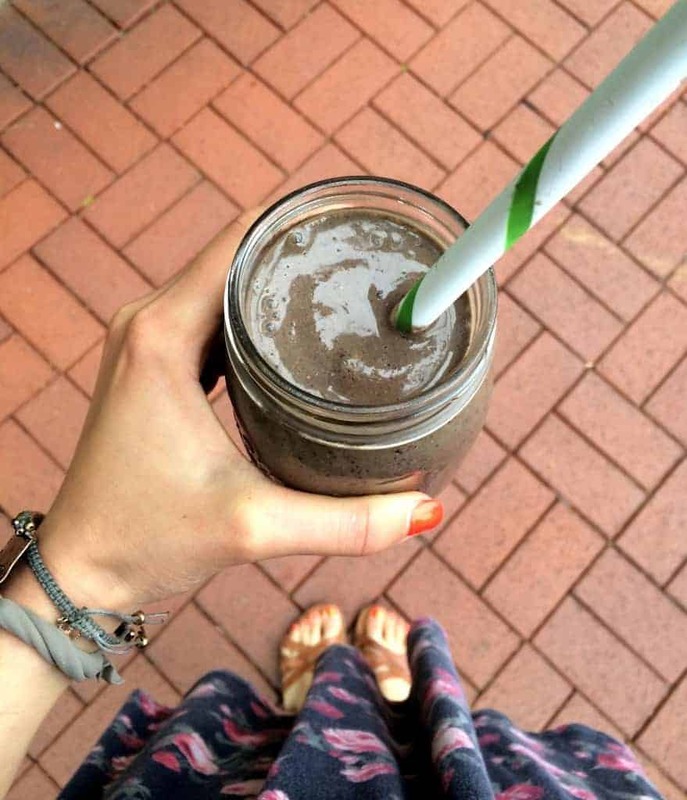 I need to get back on the smoothie a day train now that its officially smoothie weather! I don’t blame you for not wanting to cook after working with food all day, but its awesome that you get to eat such delicious food at Alchemy! Get back on that train girl! The obsession with smoothies continues here too…They’re just so good and never really seem to get boring, which I love…I cannot get enough of bananas lately, so it’s my go to smoothie fruit. Plus it honestly gives smoothies the best texture! I agree..they never get boring! Lately I’ve been adding oats and it’s a great change in the texture department. Nothing in life is better than that coconut coffee popsicle + a fresh mani! That spicy peanut butter sounds legit! And don’t worry. We all go through phases where we are crazy busy and cooking just isn’t a priority. You’ll get back into the swing of things when you are ready! Either way, you are still eating delicious food & that is what matters. You need that peanut butter in your life girl!! I may have to mail you some. Packages weeee! I pretty sure it would be pretty perfect in a stir-fry! I can’t wait for those Almond Joy snack bars!! Wow. I feel so much better hearing that–seriously!! Frozen food all the way. 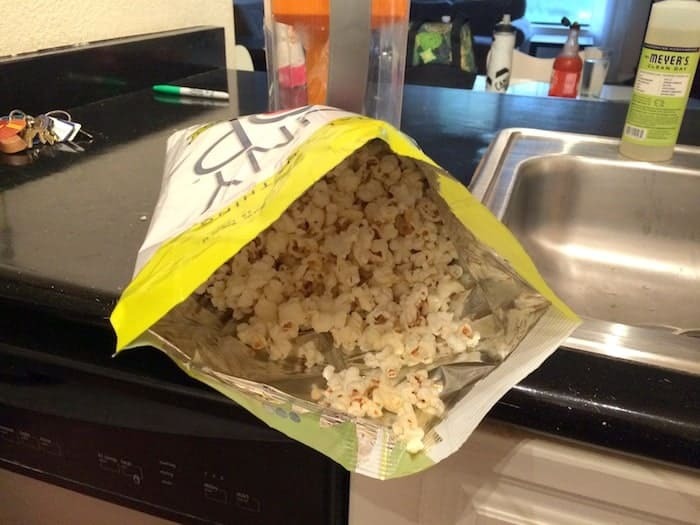 It may just be the best bagged popcorn. Those popsicle things look delish! 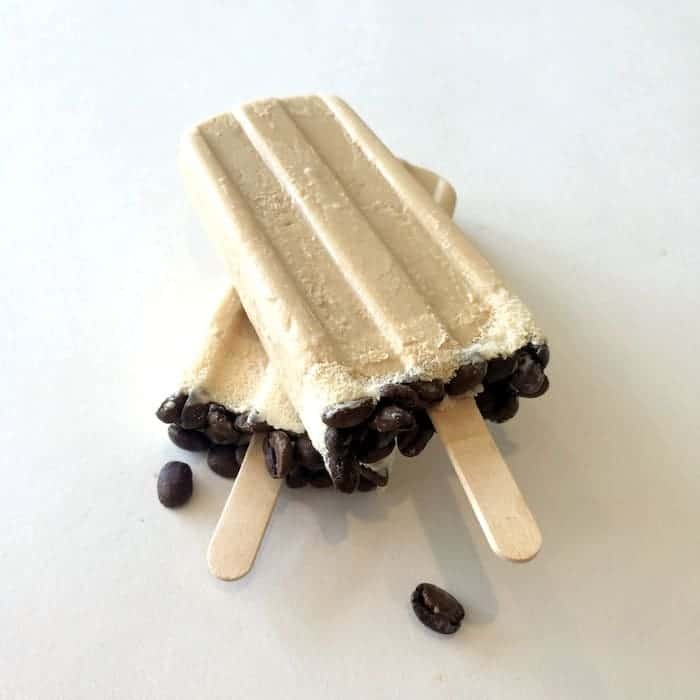 oh my goodness, please share the recipe for those coffee coconut Popsicles!!! There is seriously nothing like a fresh mani after you’ve been staring at grown out nails for days… amiright? You are SO right. They were painful to look at! I’m so inspired by this post right now. Thinking I need to make me some smoothies for breakfast and get that lemon hummus. Need to get my a** to whole foods stat! Wahoo! That makes me smile from ear to ear that you’re inspired :) Their Greek hummus is the best! Those paletas LOOK SO GOOD!!!!!! Where did you get those Popsicle moods? I have been looking for some, but want to get some that look like the old time Popsicle that you can stick a actual stick in it. They look delicious!